China and Japan, the world’s second and third largest economies, recently introduced a series of financial measures to strengthen economic and political ties. 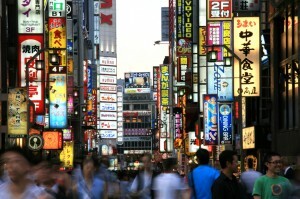 The initiatives, which include allowing Japanese government backed entities to sell bonds in China and allowing companies to convert yen into yuan without the use of an intermediary currency, promise to help the Chinese in their bid to turn the yuan into international currency, and aid Japanese companies looking to do business in china. The agreement also eases political tensions that gripped the two nations as early as last year. The measures, however, remain symbolic for the time being with no agreed timetable for implementation. Office rents in Singapore’s prime business district of Raffles Place remained flat (S$9.80 per square foot per month) over the last quarter of 2011, despite being up 3.3% and 5.4% over the first and second quarters. Analysts agree that much of this resulted from an increase in the supply and a decline in demand for office spaces in the Singapore Marina Bay area. India’s slowing growth, prompted by a slump in demand from Europe and a slow recovery in the United Stated, could test local banks in 2012. After the peak of the financial crisis in 2009, Indian banks loaned millions to already over-leveraged companies. However, a drop in output and revenue, as predicted in the coming year, should reduce the ability for companies to repay the debts they have accumulated, thus jeopardizing the position of many lenders around the country. Stocks across Asian markets have declined on concerns that the European debt crisis will slow global economic recovery. Stock and commodity indexes had the worst yearly returns since 2008. South Korea’s export growth is predicted to slow down to 6.7% from 19.6%, while Singapore’s GDP did not meet government forecasts.